With a great play den hidden behind the three sided tent. The bed frame is mainly produced in solid pine ensuring strong, long lasting quality, and the white headboards in MDF. Attractive design with deep ladder with ergonomically designed treads making it easier for your child to climb up and down. 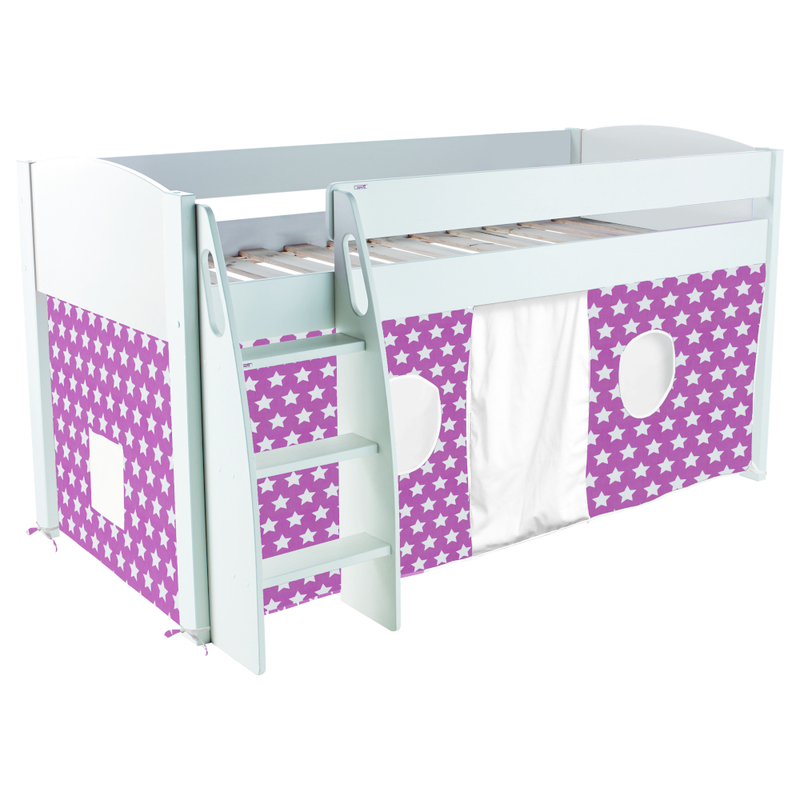 Includes Uno S Midsleeper with pink stars tent. Includes three sided Pink and Stars Play Tent.